Holy Thursday. Maundy Thursday. 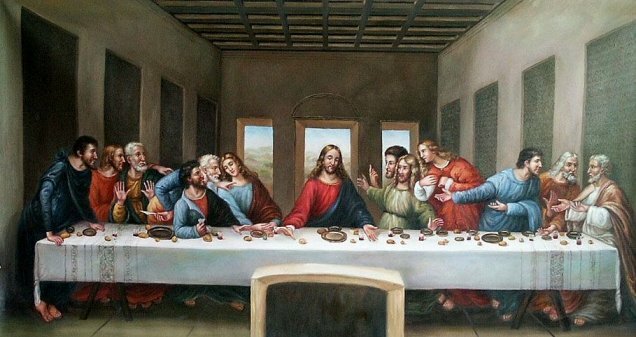 The Last Supper. Titles we use to describe this day. This morning I was aware of the sacredness of the last time the disciples were to share a meal with Jesus, the one they had chosen to follow. The only thing is, they didn’t know it was their last meal. They ate, and laughed, and relaxed around the table as if they had a forever of meals before them. They joked, and recalled some recent moments, and of course, listened up every time Jesus spoke out. And he had some things to say…and they heard them, but did not understand. They didn’t know what he meant about the bread and wine being his body and blood. Where did that come from? And when he said he wouldn’t eat again until everything was fulfilled, they wondered about whether he was about to enter another 40-day fast. And when he pointed out that one of them would betray him, they rallied with self-doubt and finger-pointing. I imagine it was, to them, just another meal with Someone they didn’t quite understand. And so they left the meal unaware of the importance of this moment. Clueless to the limited time they had with Him. Certainly, they left the meal without knowing the world would be remembering that meal even up to the year 2015. And I feel the same sometimes. Clueless. Unaware. Unknowing. The story lives in me, and yet I still don’t fully get it. A simple meal shared among friends on a Holy Day, which becomes the Holy Communion that sustains my faith today, on Holy Thursday. I can’t explain why. But I can tell you when I take Communion, I remember that they didn’t get it either, and yet that sharing of bread and cup sustained the disciples through some pretty tough days to come.